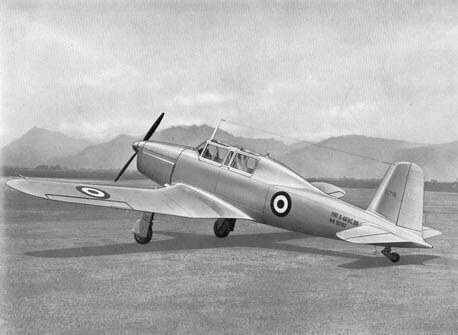 The Mach Trainer first flew in 1951 and entered service in 1955. 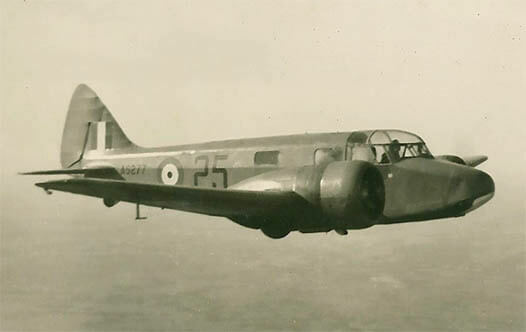 It was one of the first jet aircraft specifically designed as a trainer. 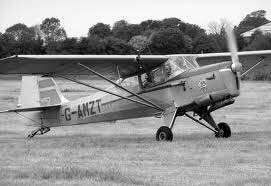 Fokker initially had high hopes for the aircraft with possible licence manufacture by Fairchild in the US, but eventually the Dutch Air Force was the sole customer and only 21 examples were produced. 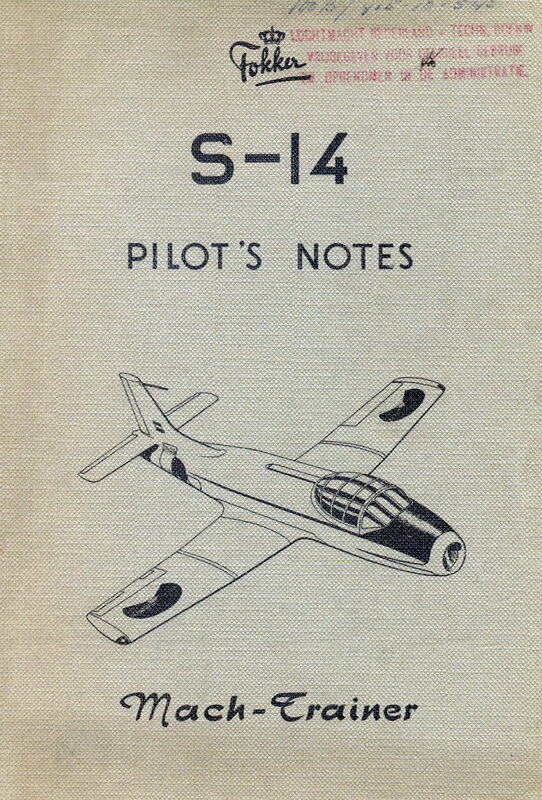 This title contains the manufacturer’s flight manual (titled Pilot’s Notes) and a nice technical brochure for the Fokker S.14 Mach Trainer. The files have been scanned from the original documents and retain any colour pages. Manufacturer’s Pilot’s Notes for the Fokker S.14 Mach Trainer, document LSK 8071 PN, 1st Edition dated May 1956 with approx. 60 pages. 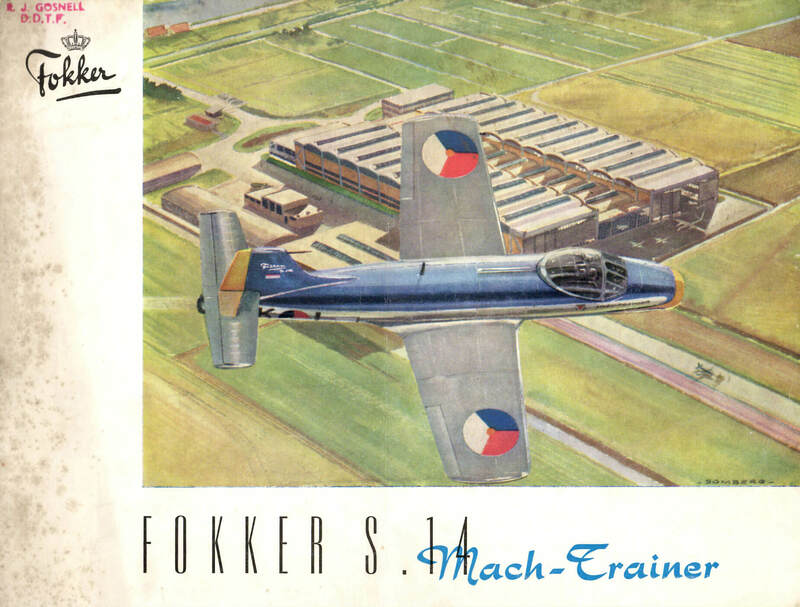 Manufacturer’s technical sales brochure for the Fokker S.14 Mach Trainer dated March 1953 with approx. 30 pages.